The Snowbird Day School evolved from Quaker-led initiatives in the late 19th century to educate young Cherokee Indians living in Tuti yi, a Native community in Western North Carolina. By the early 20th century, the school was administered by the federal government via the Bureau of Indian Affairs, and as with most federally-run schools for Native students, it sought to assimilate Indian youth into white, Anglophone culture. Over the course of nearly seven decades, an estimated 550 students attended the school before it was closed in 1963 due to federal desegregation efforts. 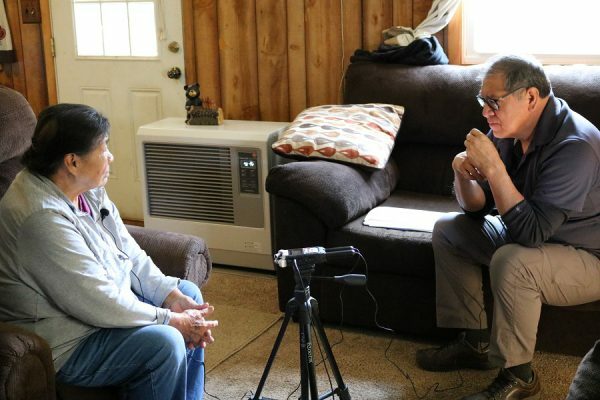 Trey Adcock, an enrolled member of the Cherokee Nation and Whiting Foundation Public Engagement Fellow, is working in partnership with the Eastern Band of Cherokee Indians to collect and preserve oral histories, mainly in the Cherokee language, to tell the story of the Snowbird Day School. As a collaborative, tribal-led initiative, Tuti Tsunadelogwasdi Uninohelv (Stories of the Snowbird Day School) will bring Cherokee communities together to reflect on their history, document the experience of cultural transition, and contribute to the preservation of their language. Adcock will be joined by Gilliam Jackson (Project Co-Coordinator) Eastern Band of Cherokee Indians. Jackson grew up in the Tuti Yi community where he attended the Snowbird Day School. Currently, Gil is a lecturer in Languages and Literatures at the University of North Carolina Asheville where he teaches Cherokee Language courses and resides on tribally controlled lands in the Tuti Yi community.